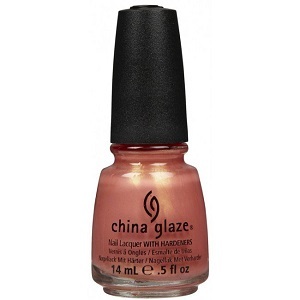 China Glaze Nail Polish, Bare If You Dare, 562, .50 fl. oz. Cantaloupe/orange-toned peach nail color with gold shimmer.